Come honor the veterans and honor the past, come see the battle live. 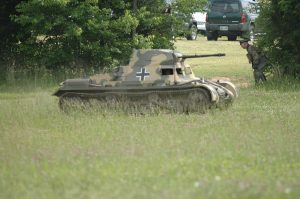 Come see authentic vehicles and weapons. 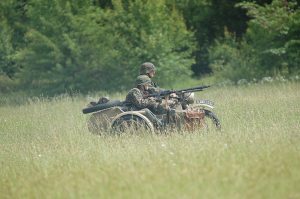 German and American interactive campsites. Memorabilia, souvenirs, and food vendors. 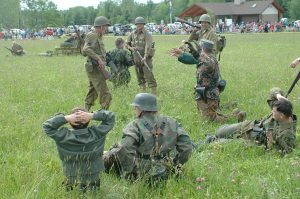 Each of the WWII Reenactment Units are comprised of dedicated individuals whose sole purpose is to provide a venue for the continual education of the public, concerning one of the most significant and far-reaching military events of the 20th Century. 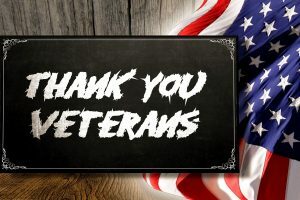 Sadly, as time passes, the historical truth behind the great freedoms we continue to enjoy in America today has been blurred by those who seek to re-write American History Books to coincide with their personal ideology instead of historical military facts. 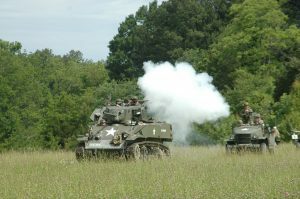 Elizabethtown Ky War World II Battle Reenactment join us May 25 2019.